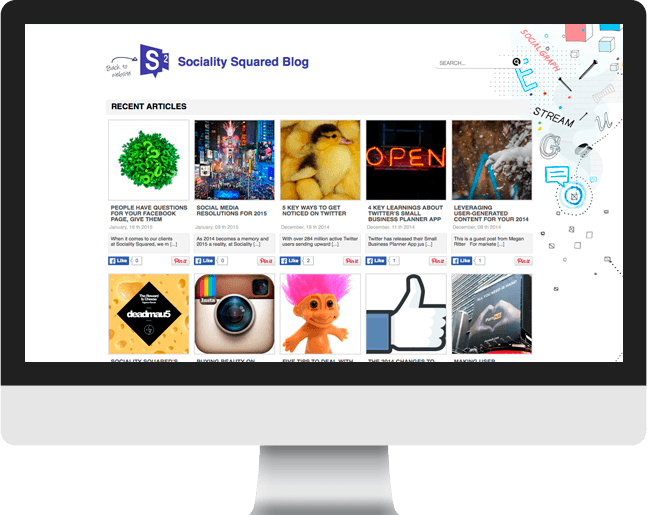 Sociality Squared is a social media agency rocking integrated, cross-platform strategies. They do everything from concept to implementation, and Facebook marketing is their specialty. Helen is a social media marketer who co-founded the company in 2010 to help brands organically grow loyal and engaged communities. 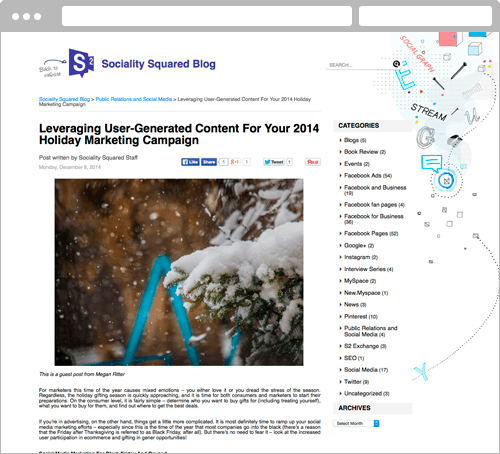 Cultura Interactive was hired to develop a custom WordPress theme for their new blog. The company launched their new website, and they needed to reflect the same style and feeling in their blog where the latest articles in social marketing would be published. The new blog is integrated with a variety of social media platforms such as Facebook feeds and likes, Twitter, Google plus and the new kid on the block: Pinterest. 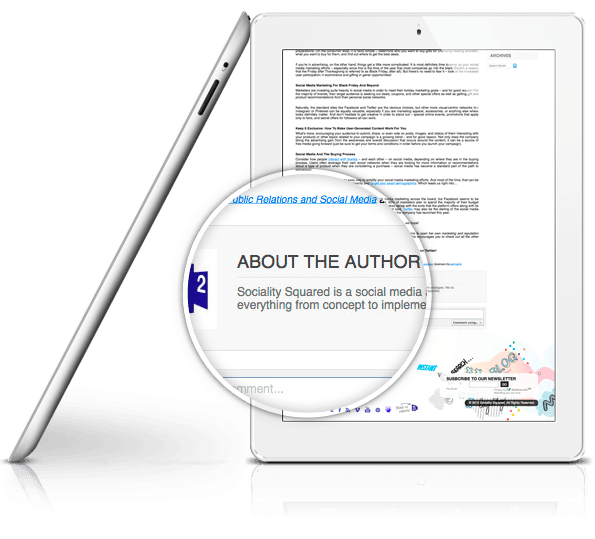 This section was designed to provide information about various topics and the importance of content marketing across social media. Every article contains the name of the author and a small bio. This way, readers can become familiar with their background and connect with the information that is being conveyed. This is the era of having several social media sites like Facebook, Twitter, and YouTube to promote your brand and its message. Content marketing creates an outlet to connect with customers on a whole new level. By using articles, blog posts, pictures and video, the company can directly inform and engage with their audience and easily their content across social media platforms.